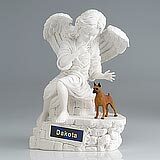 "We did receive our Traditional Edition for Shatzieand it was beautiful and just what we wanted for her. 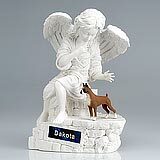 Thank you so much for all your help and compassion. 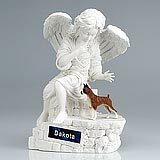 Just having her home and in a safe place helps tremendously. Thank you again and we will recommend to any one looking for peace and closure that the contact you for the help. " 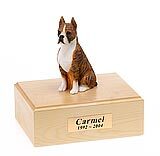 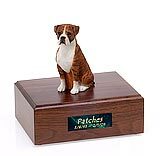 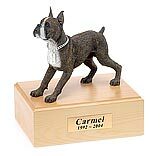 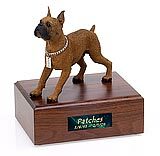 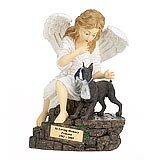 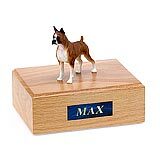 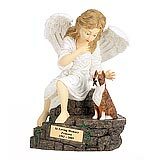 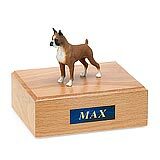 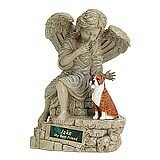 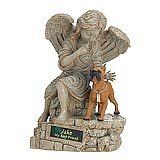 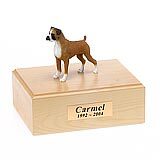 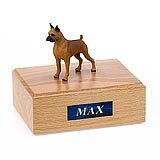 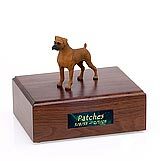 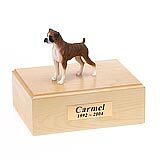 All available Boxer dog urns and memorials will be displayed with the figurine on the Boxer urn you select and in the appropriate size.